Panedile is to build the new fast lane on the Illia Highway in the section between the toll at Retiro and Avenida 9 de Julio in Buenos Aires. 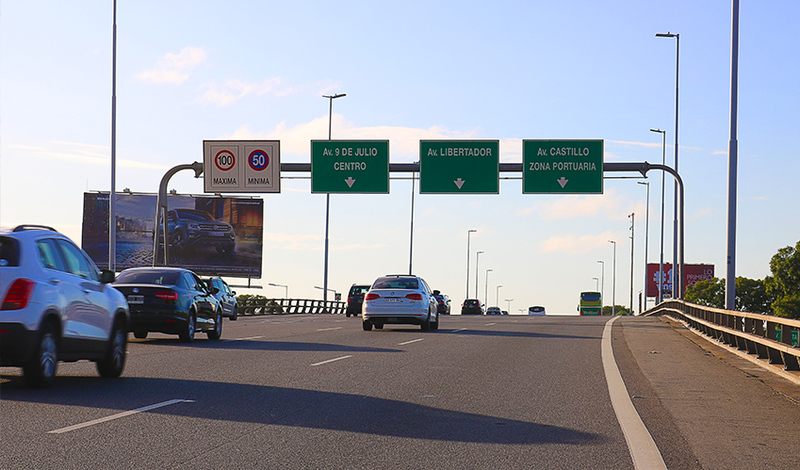 The joint venture (JV) formed by companies Panedile, Rovella Carranza and Supercemento will develop the new lanes to replace the current Illia Highway. The tasks include building two branches linking Avenue 9 de Julio with Cerrito and Pellegrini streets, a partial rotational intersection linking the fast track with the two streets indicated and Avenida Del Libertador, a fast lane section built as an urban avenue between Avenida Del Libertador and the new Exhibition and Convention Center (CEC), a stretch of geometric and structural transition on stabilized soil and a stretch of urban motorway on an elevated viaduct to the Retiro toll booth, which will be unaffected by these changes. Meanwhile, the branch of the Illia Highway exit onto Avenida Del Libertador, currently in operation will be decommissioned. The new stretch of road will be 1900 meters long.